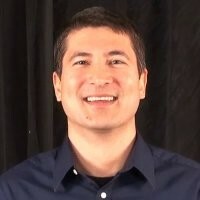 I have been with Intel many years and beyond the fact they let me do what I love (information security strategy), Intel is a company with incredible social and humanitarian conscience. In early 2010, shortly after the devastating earthquake in Haiti, I volunteered to help with Intel’s efforts to assist Non-Governmental Organizations (NGO’s) like the Red Cross, World Vision, NetHope and others who rallied humanitarian aid to the people of Haiti. Intel, as what seems normal practice, began fundraising and matching employee contributions to various NGO’s. 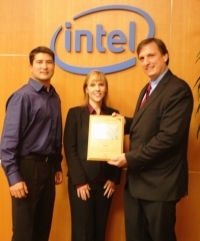 Worldwide, Intel employees donated tremendous amounts of money to the cause. But the Intel story does not end there. Unbeknownst to most, Intel has another tradition when it comes to disasters. With a world class Information Technology team, Intel also contributes behind the scenes. We work with NGO’s to develop and deploy technology systems which can expedite aid, empower agents in the field, and created a force-multiplier effect to improve disaster response services. Specifically for Haiti, Intel worked to prepare and deploy donated laptops to volunteers rushing to Port au Prince. When the United Nations asked World Vision to lead the Emergency Telecommunications NGO community in Haiti, World Vision proposed a unified NGO datacenter at the epicenter, and immediately reached out to Intel for professional guidance and support. The Intel team worked to develop and donate a virtualized data center server cluster with the latest Intel chips, providing the capability to consolidate traditional servers by a 20-1 ratio, thus greatly reducing power, cooling, and space requirements, which were all in short supply after the earthquake. Intel employees volunteered their expertise in a race against time to create viable solutions. NGO's were shocked at the speed, level of contribution, and resulting capabilities. It is not just Intel who contributes in non-traditional ways. Our partners across the technology industry also stepped up and worked together. Hardware, OS, and software companies collaborated in unprecedented ways with one unified goal: helping victims in Haiti. Support for such humanitarian causes runs through the veins of the corporation, from top to bottom. It is just another reason I am proud to work at Intel as part of an employee community who are willing to toil tirelessly to help the world.